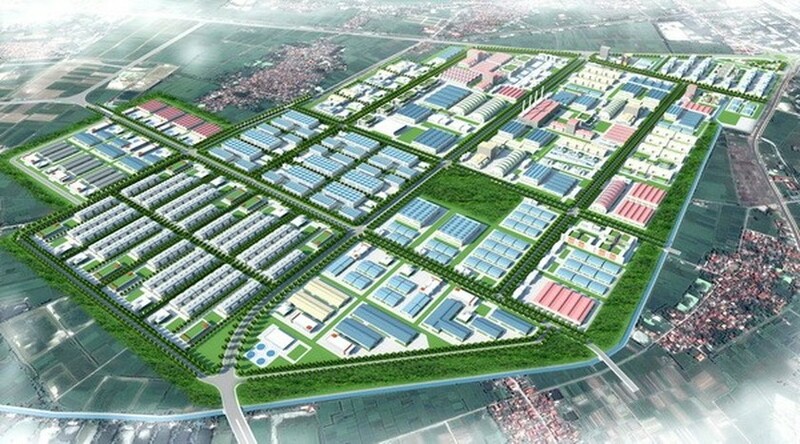 The Việt Nam Glass and Ceramics for Construction Corporation (Viglacera) today begins construction at the Đồng Văn IV Industrial Park (IP) in northern Hà Nam Province. The IP, which has been considered one of the key projects in the province for the 2016-17 period, seeks to attract several large investors in the electronics and hi-tech areas. At the groundbreaking ceremony, three South Korean investors were granted investment certificates for their official operation in 2017. Covering an area of 600 hectares, the IP includes two phases. The first phase of 300 hectares is to be carried out in the province’s Kim Bảng District. The IP has a favourable location on National Highway 38 to easily connect to National Highway 1 to Hà Nội and Hà Nội – Hải Phòng Expressway to Hải Phòng Port. Businesses will find it convenient to export goods by both air and road. In addition, the IP is expected to create jobs for 500 workers in the province, as well as four million people from neighbouring localities. Viglacera is to build housing for workers and specialists close to the IP to attract human resources. In recent years, Hà Nam has been one of the country’s leading localities in attracting FDI, with several preferential policies for businesses, such as 24 hour electricity, clean water supplies and waste water treatment systems, favourable customs procedures and simplified administrative procedures. Viglacera also has completed land clearance, infrastructure and handing over land to businesses for construction.